Who wouldn’t love to see one of the all time legends of funk come to their hometown and rip it up for one glorious evening of funkitude? Bernie is trying to make it happen for you, baba. There’s barely a week left in his Kickstarter campaign to raise funds for a tour vehicle so he can take the Bernie Worrell Orchestra out on the road!! With nearly $8,000 raised of the $25,000 target, the fundraising campaign expires on March 15th. If the band does not reach their goal by donations, they don’t get any of the funds!! So if you’re a die-hard Bernie fan, prove it today by chipping in and getting some gnarly gifts in exchange– some of the items listed for contributions include rare autographed albums ($50- great deal! ), drum heads ($200), an unreleased selection of live gigs in mp3s ($300), a personal Skype session with Bernie! ($350+), and even a keyboard lesson with the legend himself ($600). At the utmost contribution levels of $5000+, Bernie is actually putting up one of his genuine autographed RCAA Gold Records, or for an extra thousand the band will come and play a personal gig for you!!! FMN wishes Bernie all the luck in the world!! 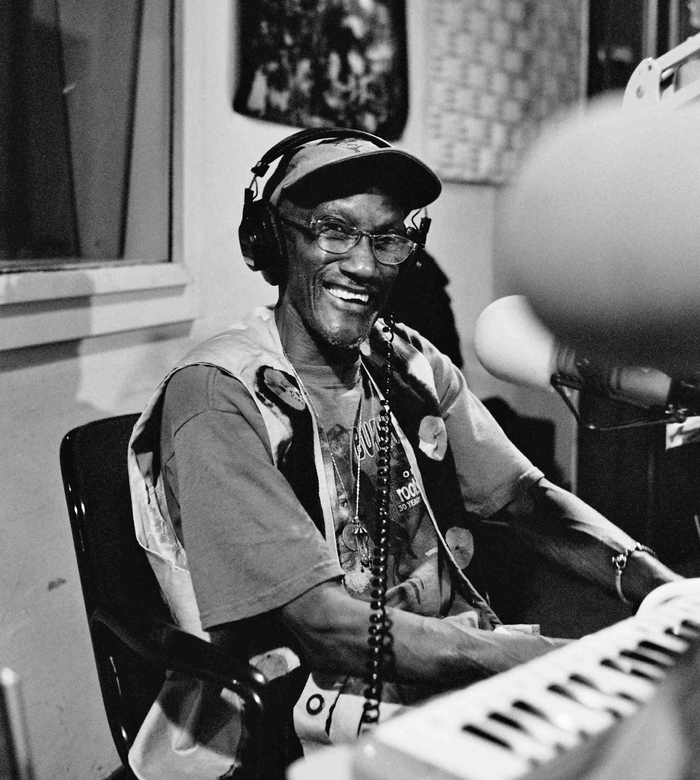 With help from the amazing support of the funk community, let’s plan that the Bernie Worrell Orchestra hits a city near YOU! Here’s the link to the fundraiser– tick, tock! !